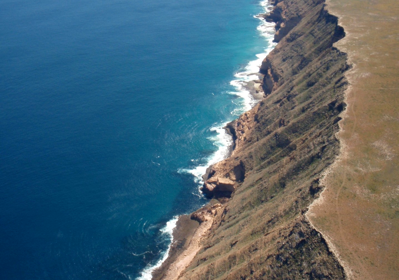 Click here to view a video of our tours to The Abrolhos Islands! Designed for the “time Poor” clients who want an adventure from experienced tour guides. A coastal scenic flight to Cevantees where we are met by Turquoise Coastal Tours. 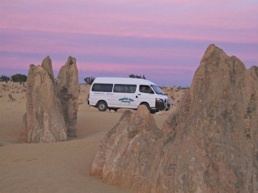 An experienced guide will take you on a 2.5 hour guided tour of the Pinnacles explaining the formation, age, geographical oddities and much more. This is a “World Class” Icon not to be missed. Australia’s Wilderness from a birds eye view. Exquisite - Pristine - On our doorstep! We can customize your tours with various other tour & charter boat operators for the “time poor” increasing your unique experience. A stunning Scenic Flight over the Kalbarri Gorges on route to Monkey Mia. Watch the dolphins feed and step on board the World Class Aristocat for a guided boat tour abundant wildlife and pearl farm. On Returning overfly the Kalbarri Cliffs & Pink Salt Lakes. Transfers, Lunch, morning, afternoon tea & snorkel gear is included. Save yourself on taking the long drive and expense of accommodation.